As the result of a higher average U.S. home price in 2017, the Federal Housing Finance Agency (FHFA) has announced new, higher maximum conforming loan limits for 2018. In most areas of the country, the 2018 maximum loan amount for one-unit properties will be $453,100, an increase from $424,100 in 2017. In high-cost areas, the new maximum high balance loan limit will be $679,650, up from $636,150. As in the past, loan limits may vary by county. Click here for a list and map of the 2018 maximum loan limits for all counties and county-equivalent areas in the U.S.
Appraisal disappointing? You have options, according to the Appraisal Institute. 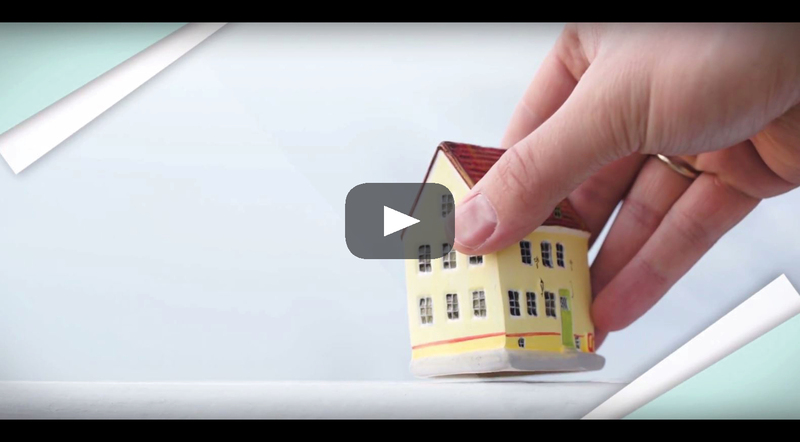 "Homebuyers and sellers should first understand what an appraisal is and how it's used," says Jim Amorin, president and acting CEO of the Appraisal Institute. "Real estate appraisals for mortgage finance applications are prepared for the bank or financial institution so they can better understand the collateral risk in making the loan. This can be confusing, because homebuyers typically pay for the appraisal and receive a copy of it." In some cases, the appraisal may not match the contract price—but just because an appraisal comes in below (or above) the listing or contract price doesn't mean it's flawed, Amorin says. The agreed-upon contract price may be above market value, for example. In those situations, the buyer and seller often renegotiate the contract at more favorable or balanced terms. Homebuyers should ask their lender for the qualifications of the appraiser, including whether they are designated by a professional association like the Appraisal Institute, says Amorin. A qualified and competent appraiser knows how to conduct a thorough market analysis and make appropriate adjustments. 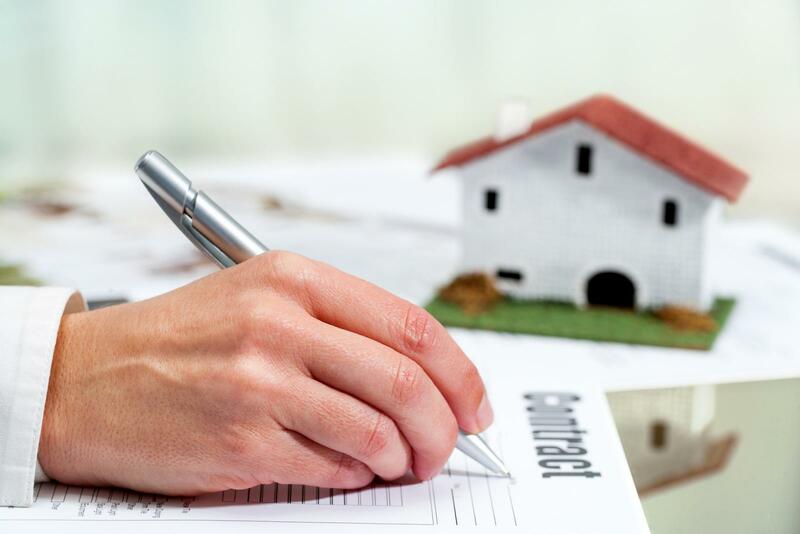 Homebuyers also can ask whether the appraiser is directly engaged by the bank or whether the bank utilizes an appraisal management company, and what their procedures are for engaging qualified appraisers. "The best way for consumers to combat potential problems with appraisals is to ensure the appraiser hired by their lender is highly qualified and competent," Amorin says. "Consumers have every right to demand the use of a highly qualified appraiser, someone with field experience in their market and knowledge and experience to handle the assignment properly." Contrary to incorrect interpretations of appraiser independence requirements, appraisers welcome information that would assist the development of credible assignment results," says Amorin. If lender policies permit, consumers can accompany appraisers when conducting the property inspection and may provide the appraiser with any information they consider important. Amorin suggests consumers ask their lender for permission to do so, and confirm the appointment. Consumers should also take note of whether an adequate inspection is performed. Did the appraiser spend enough time at the property to observe important features or improvements or potential problems? Homebuyers should take advantage of their right to obtain a copy of the appraisal report," Amorin says. Even though the appraisal is ordered to help assess lender collateral risk, buyers are entitled to a copy of the appraisal report. Federal regulations require lenders to provide property buyers with free copies of appraisal reports no later than three days before the loan closes. Although appraisal review is best performed by qualified appraisers, consumers should examine the appraisal for potential deficiencies, says Amorin. According to "Appraising the Appraisal: The Art of Appraisal Review," common errors in appraisals include: misuse of adjustments to comparables; disregarding special financing and concessions; or miscalculation of gross living area (GLA). Do adjacent homes add or detract from the value of the subject property? Is the subject property equal to or lower in price than surrounding homes? Does the floor plan have any functional problems? Does the house (particularly the kitchen and bathrooms) require major remodeling to make it comparable with similar homes in the same price range? Is the number of bedrooms and baths in the home comparable to similar homes in the same price range? Did the appraiser perform an adequate inspection? "Most lenders have appraisal appeal procedures, known as 'Reconsiderations of Value,'" says Amorin. "If you're aware of recent, comparable sales information or items that may not have been available or considered by the appraiser, provide those to the lender. If problems were found with the first appraisal, you can and should obtain a second appraisal." Learn more about property appraisals here, and contact your local mortgage consultant with any questions about the appraisal process. 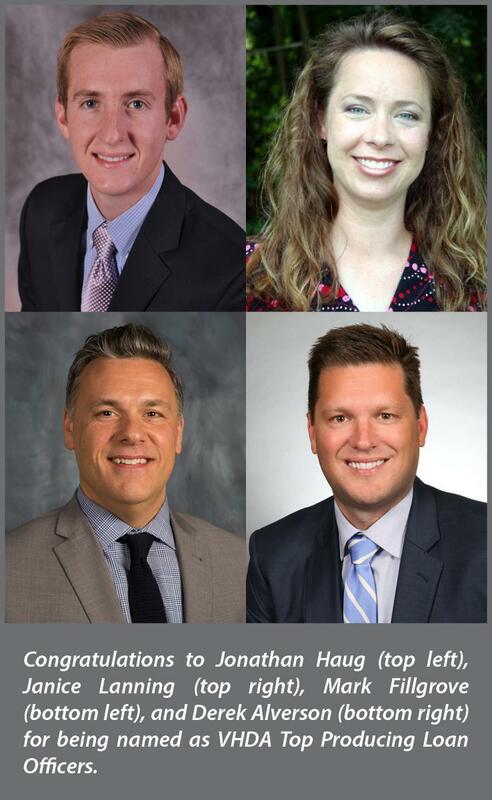 We are proud to announce that four of our mortgage consultants were named as Virginia Housing Development Authority Top Producing Loan Officers. They include Jonathan Haug, Janice Lanning, Mark Fillgrove and Derek Alverson. The work of Haug, Lanning, Fillgrove and Alverson helped numerous individuals and families become homeowners during the commonwealth’s last fiscal year. Statewide, 8,271 people in Virginia purchased a home in VHDA’s Fiscal Year 2017, resulting in $1.62 billion in home loans created. Haug is a senior mortgage consultant based in Virginia Beach, Virginia. He is a member of Prosperity’s Chairman’s Club for 2016 and was named to Mortgage Executive Magazine’s Top 1% of Mortgage Originators in America 2016 list. Based in Fredericksburg, Virginia, Lanning is a senior mortgage consultant, a member of Prosperity’s Presidents Club for 2016 and was also named to the Top 1% of Mortgage Originators in America 2016 list. Fillgrove is a branch manager for Prosperity and is based in Midlothian, Virginia. He is a member of Prosperity’s Presidents Club for 2016. Alverson is a senior mortgage consultant and a member of Prosperity’s Chairman’s Club for 2016. He is based in Richmond, Virginia, and was also named to the Top 1% of Mortgage Originators in America 2016 list. Before you even begin to shop, obtain a mortgage preliminary approval. We recommend our Buyer Advantage preliminary approval! 1 We’ll need your most recent 2 years of W-2’s and tax returns, the last 30 days of pay stubs, and 2 months of bank statements. Qualified borrowers will receive a mortgage commitment letter upfront, subject to an appraisal. Some lenders only offer a pre-qualification letter, which doesn’t verify any of the information you provide. A mortgage commitment letter, though, is an important first step and will help you determine how much home you may be able to purchase and can strengthen your bargaining position with sellers. Once you are issued your preliminary approval, you’ll work with your real estate agent to find the right home. It helps to determine your needs and create a wish list of desirable features. While you visit homes, take notes to be able to determine which homes may warrant a second visit. Using our house hunting checklist can assist in this process. Once you find a home you like, you’ll make a purchase offer. Your real estate agent will present your offer to the seller, who will then choose to accept, counter, or reject the offer. When a price is settled on, you and the seller will sign a Purchase Agreement, defining the terms of the sale. The next step will be to complete the loan application process. If you have already obtained a mortgage preliminary approval, contact your mortgage consultant and let them know you have a contract on a home. They will update your loan application and help you to proceed with the home financing process. If you were issued a Buyer Advantage preliminary approval, most of the work is already completed! Next, the home will be appraised. An appraisal is a formal, written estimate of the home’s current market value. Your lender will review the appraisal and note any conditions that may be required prior to closing on the loan. You will be provided a copy of the appraisal. Once any remaining conditions are submitted including the appraisal, title insurance and homeowners insurance, we will issue a final commitment and finalize the details of your closing with your real estate agent and your settlement agent. Your closing documents will be prepared, and you will go to settlement. Make sure you talk to your settlement agent about how you should prepare the funds needed for closing. 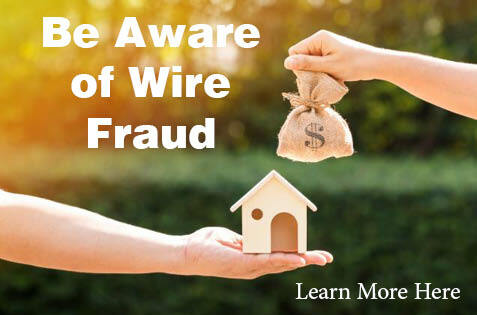 Today, a wire from your bank is the most popular way, but you may be able to provide a cashiers’ check or money order. Congratulations, you become the proud owner of your new home! We hope you have found this overview helpful; contact your local mortgage consultant for more details! Prosperity surprises buyers with check to cover first mortgage payment. We are delighted to share that Prosperity Home Mortgage, LLC (Prosperity) has closed its first residential Detroit home loan on June 16—just a few weeks after we officially began conducting business in Michigan! 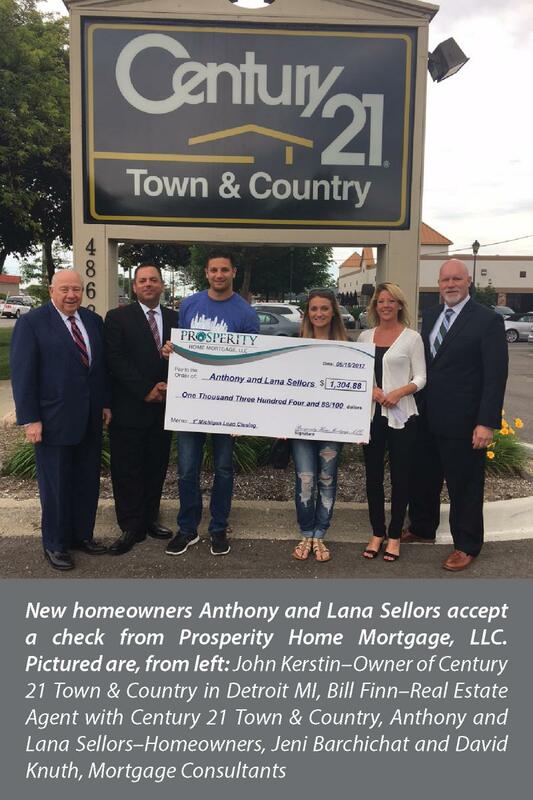 The purchasers, Anthony and Lana Sellors, received a great post-closing surprise, with Prosperity presenting them with a check for their first mortgage payment! The Sellors purchased a home in Chesterfield, Michigan, and mortgage consultants with Prosperity, Jeni Barchichat and David Knuth, guided them through the financing process. The Sellors also worked with Bill Finn, a real estate professional with Century 21 Town & Country. Prosperity offers a wide range of mortgage products, including fixed and adjustable rate mortgages, and we are represented by mortgage consultants throughout 12 states and Washington, D.C. For more information our company, visit our About Us page!